We’ve looked through our crime data to find out which cars criminals like to break into the most in order to steal items of interest, whether they be electronics, valuables or even things like spare wheels and catalytic convertors, which contain precious metals. Click through the top 10 gallery below to find out more. Most of the cars in this list, perhaps unsurprisingly, are either old and outdated or imported. Cars originally sold in markets outside of Europe tend to have poorer security systems, while older models often have no security systems at all. We filtered the data to only show cars of which more than 1000 are registered. With rare vehicles the relative crime rate can be skewed very easily by just a few break-ins. Numbers shown indicate the rate of thefts per 10,000 cars – that keeps things comparative. Creating this list by manufacturer is tricky - all of the manufacturers with especially high 'theft from' rates produce vans, whether exclusively or alongside cars. To see the list visit the vans section. 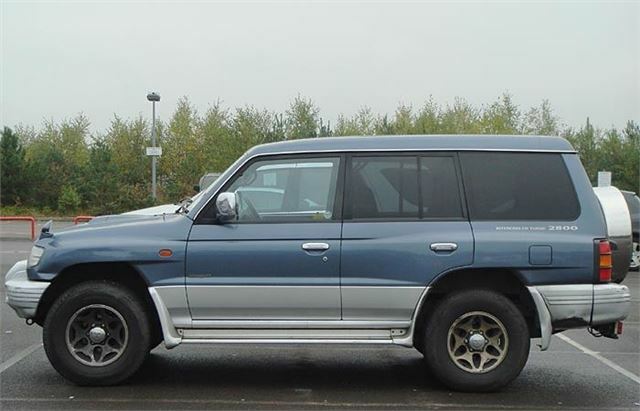 In the UK we call the Pajero ‘Shogun.’ In Pajero form it was never sold officially by Mitsubishi in the UK, which means Pajeros have poorer security systems designed to meet less stringent rules for places like Japan. Consequently they make easier targets for thieves – which explains the cars position in the number one spot. Thankfully, for buyers of used cars, the Pajero is fairly rare. You’re more likely to find a safer and more secure Shogun on your local dealer forecourt, which should prove trickier for opportunist thieves. It's also possible that the crime rate for Pajeros is inflated slightly by its relative rarity and similarity to the Shogun - some crimes involving Shogun models could be recorded against the Pajero, inflating its crime rate figure.